A physical control violation is one of the most misunderstood Washington State drunk driving crimes. A conviction for a Tacoma physical control violation will impose mandatory punishments that are both swift and severe. These penalties may also cause undue hardship on you and your entire family. A physical control charge has many similarities to a DUI, which can often make it confusing for individuals being charged with this crime. A physical control charge is a DUI except, instead of driving, you are in “physical control” of the vehicle at the time of the intoxication. The ramifications of a physical control conviction are just like a DUI. It is a gross misdemeanor, meaning the maximum penalty is 364 days in jail and a $5,000 fine. A conviction also comes with probation, license suspension, and an ignition interlock requirement. Being in “physical control” of a vehicle basically means you are about one step away from driving. A common example of a physical control charge is an individual who passed out in the driver’s seat of a car. That individual might claim they were simply trying to sober up prior to driving but the State would argue the person intended on driving and would have were it not for the fact that they were so drunk, they passed out before doing it! These cases are complex and require serious consideration, so don't hesitate to contact the Tacoma physical control lawyers at the Law Office of Jason S. Newcombe without delay. We will not only ensure that your legal rights are defended, we will also explain in detail all of the punishments you could be facing. Prosecutors often pursue maximum sentences for people accused of DUI-related crimes, and physical control violations are treated no differently. Get help from our professional Tacoma physical control attorneys, and put our extensive local experience to work for you. What Can Our Tacoma Physical Control Attorneys Do To Protect Your Rights? First, we will seek to determine whether your charges can be dropped. 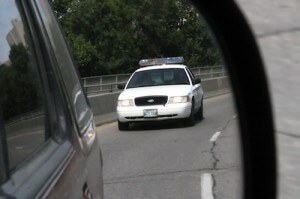 Much will depend upon the details of your arrest, and the Tacoma police departments records relative to your case. Sometimes there are circumstances that aid a favorable resolution. If your car was parked safely off of the roadway when it was first noticed by the arresting officer, our Tacoma physical control lawyers can use this to seek a dismissal of the charges. If your car was inoperable when you were arrested for a physical control violation, we may use this information while preparing our defense strategy. Our Tacoma physical control lawyers will conduct an investigation of your case in order to uncover evidence that can be presented to the prosecutor or used in court. Start getting reliable answers without risk or obligation. Our Tacoma law office offers a free case evaluation designed to provide you with legal information, and once you have the facts, you can then decide if you would like to put our 30 years of collective legal experience to work for you. Don't make the mistake of underestimating a Tacoma physical control violation. Contact our law office in Tacoma today and let us help you with your physical control violation.